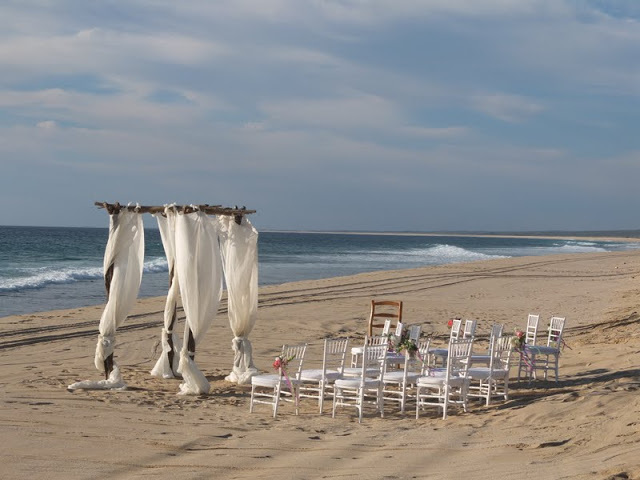 We send our warmest congratulations to New York couple, Katherine & Mason, who were married on Saturday evening at Villa Santa Cruz, Boutique Hotel on the Beach, in Todos Santos, Baja Sur, Mexico. A select number of close friends and family joined them on their special day, making their wedding both intimate and elegant. 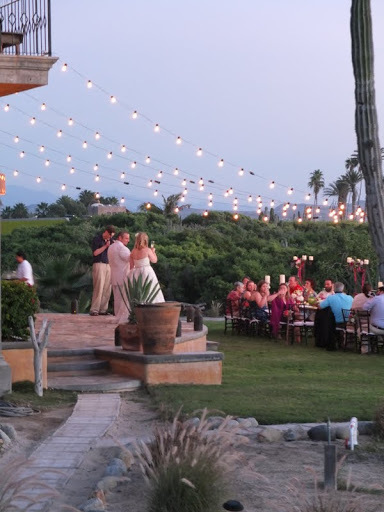 They married under a palo de arco arbor lightly draped in gauzy white curtains, while being serenaded by a local Todos Santos guitarist, Tolin. 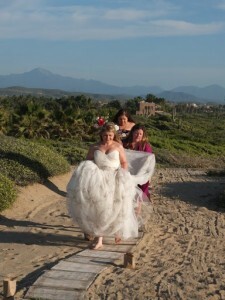 Katherine looked gorgeous in her wedding dress, complete with the perfect “accessory” for a ceremony in the sand – bare feet! 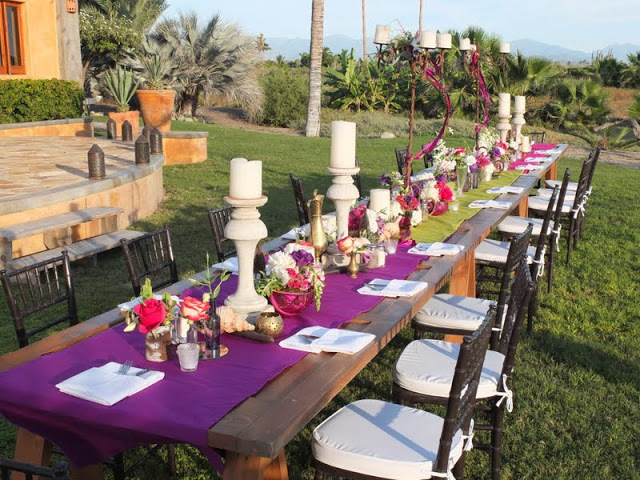 Barb & Jan of Pueblo Magico Weddings brought Katherine & Mason’s wedding vision to life with this beautiful table setting in hues of purples, beautiful roses and soft candlelight. After cocktails on the roof terrace, the wedding couple toasted their guests on the back patio under the Villa’s canopy of lights. The Hotel California created a wedding feast for the group. 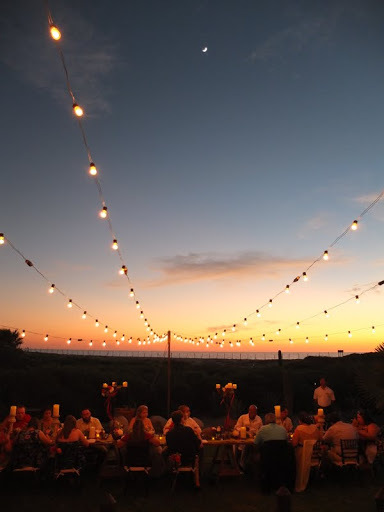 Using fresh local ingredients, the menu highlights included grilled arrachera steak brochettes on rosemary skewers, chile rellenos with shrimp, scallops and cheese in a creamy dill sauce and churros for dessert. It was a beautiful night for a beautiful couple. We wish you a lifetime of love and happiness. 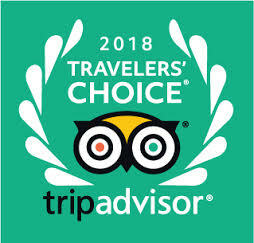 Felicidades!